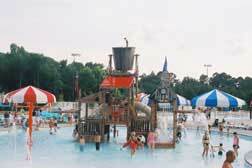 Play pool, zero-entry pool, lilypad, water play feature structure in this water park. Statesboro-Bulloch Co. Parks & Recreation Dept. 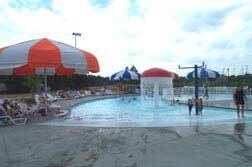 Mill Creek Family Aquatic Center, "Splash In The Boro"
call (912) 764-5637. Opened June 2004.